In the first step of the week-long event of NBA 2K League team logo reveals, the Detroit Pistons League team, under the name Pistons GT, became the first to reveal a team logo with its Twitter announcement Tuesday morning. 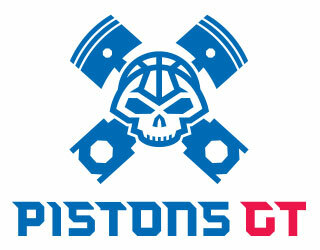 The logo as seen in the Pistons GT video reveal on Twitter. “We are thrilled with the outcome of the logo, it’s everything we want this team to be,” Adam Rubin, Manager, Esports for Pistons GT told DIMER. “It’s edgy, strong, and a perfect embodiment of the city of Detroit. The team also officially launched its website, PistonsGT.com, which features a FAQ on the league, downloadable wallpapers of their logo and a video about the creation of the logo, similar to the video the NBA 2K League released after their logo reveal. The logo was crafted by RARE Design of Hattiesburg, MS, who also did the work on the League logo.